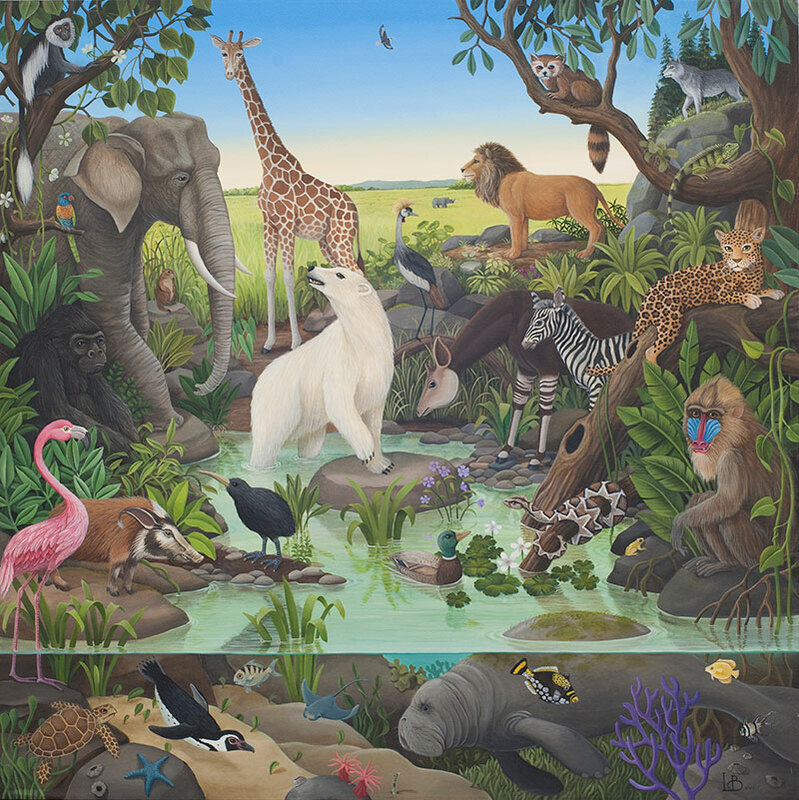 “Columbus Zoo” is a very special commissioned work that was painted by Laine Bachman specifically for the Columbus Convention Center. The piece is inspired by one of Columbus’ greatest treasures, the Columbus Zoo. In the vast, colorful scene, all of the animals from the Columbus Zoo’s iconic exhibits roam together. 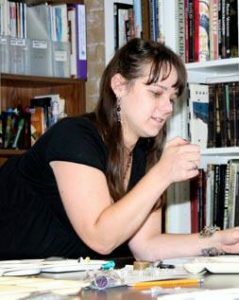 Laine Bachman earned her degree in Fine Arts at the Columbus College of Art and Design in 1997. Upon graduating, she stayed in Columbus and has continued as a full-time artist for the past 19 years. Throughout the years Laine has had work included in several juried exhibitions and group shows at OAL, the Riffe Gallery, The Concourse Gallery, Carnegie Gallery, and Art Palm Beach, and her work has garnered a number of awards and is in many private and public collections.